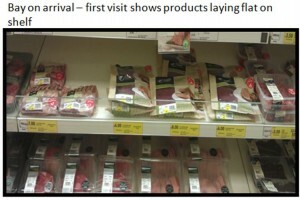 Support the launch of New Zealand branded products into the UK marketplace across Tesco outlets during a 12 week trial. The field team checked all skus were correctly sited as per planogram, checked the on-shelf availability and replenished stock from the warehouse where available. 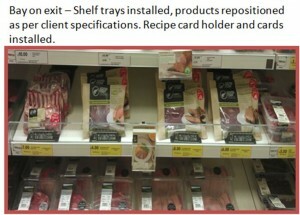 Refreshed or sited additional trays, recipe cards and other POS (taken to store by the team). On completion of main objective, every second or third visit the team would spend an additional hour in store handing out information and promotional leaflets to inform customers about the product, as well as asking store personnel for their feedback on sales and general display. Due to the success of the visits and our client seeing a direct ROI vs some control stores, the initial 12 week trial continued for 18 months of weekly callage, increasing to twice per week for key promotional periods. Results were delivered to our client in excel format with pre-defined pivot tables, along with a weekly summary presentation.